As a board-certified internist and your personal physician, helping you achieve your optimal health is my priority. I will establish a close partnership with you and help guide you toward the most innovative steps in modern healthcare. Beyond the personalized wellness program and customized action plan offered in my MDVIP-affiliated primary care practice, my patients enjoy many conveniences not found in most medical offices today. I am available 24/7 on my cell phone, you will be seen promptly for all visits, as your time is valuable, and I will help coordinate your care with specialists. As a private internal medicine doctor, I am knowledgeable in all aspects of adult medicine – cardiology, endocrinology, pulmonary medicine - to name a few. And I've been recognized a “Top Doctor” by Castle Connolly. I have been board certified in internal medicine since 1980 and have practiced in the Merrick and Bellmore areas of New York for 30 years. My office is in Bellemore, south of Southern State Parkway, Sunrise Highway, Merrick Road and near major highways. I have established relationships with many specialists in the community and at the leading hospitals in Nassau County, Suffolk County and New York City and am affiliated with South Nassau Communities Hospital. Being healthy is a choice. As a member in my personalized healthcare practice, sometimes referred to as a concierge medical practice, you will be making an investment in your health that is the best prescription now and in the future. Please call my office anytime to discuss your healthcare needs. I participate in most major health insurance plans and am fluent in Italian, Internet, iPad and iPhone. Thanks Dr Goodman for all your support over the yesrs. You are the best! Dr. Goodman was always there for me. wHEN i WAS GOING THROUGH A VERY EMOTIONAL TIME, FEELING TOTALLY LOST and depressed, Dr. Goodman was always there for me. He answered every phone call, always had time to see me and was so much more than a doctor to me. He’s a fine caring doctor. I have know Dr. Goodman for over 20 years. Hes a fine caring doctor. He always takes time to explain and go over my history on every visit. He always calls back to go over test results. Its always so easy to get an appt. and his staff girls are so nice! Finally found the perfect doctor. Finally found the perfect doctor. Totally thorough, thoughtful, and patient. Dr Goodman thinks outside the box, doesn't panic and isn't afraid to make a decision. He jnstills total confidence. I'm so lucky! Doctor Michael Goodman has been my doctor before MDVIP, so it has been a while. We have a very nice relationship, he understands my fears, problems. Dr.Goodman is a very caring dr.
Dr.Goodman is a very caring dr. He is always available when I need to speak with him and with appts. I couldn't be more satisfied. 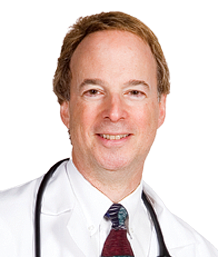 I would just like to share that Dr. Goodman has been my doctor for over 30 years.